Is a dog man’s best friend? If we go by statistics concerning dog ownership, then perhaps that is true. There are approximately 78.2 million dogs kept as pets in the United States. That is more than the population of Great Britain. Unfortunately, man’s best friend bites more than 4.7 million people per year with almost 800,000 of those persons requiring medical care. With approximately 1/3 of U.S. housing being renter occupied, it is safe to assume a large number of those bites are caused by renter owned dogs. Unfortunately for dog bite victims, only an estimated 31% of renters carry insurance, compared to 96% of homeowners. Dog bite victims may now get a second bite at compensation through landlords. The recent Kentucky Supreme Court decision of Benningfield v. Zinsmeister, concerning landlord liability for injuries caused by tenants’ dogs, attracted significant attention from the conventional media as well as bloggers, facebookers, and the like. The issue before the Benningfield Court was whether a landlord can be considered an “owner” of a tenant’s dog, thus strictly liable per Kentucky’s dog bite laws; and if so, whether liability extends to dog bites which occur away from the leased premises. The Court held a landlord can be the owner of a dog for purposes of liability, but such liability is limited to injuries caused on or immediately adjacent to the premises. The Zinsmeisters owned rental property next door to their home which they leased to the Harrisons, who kept several Rottweiler dogs in the fenced-in backyard of the rental property. 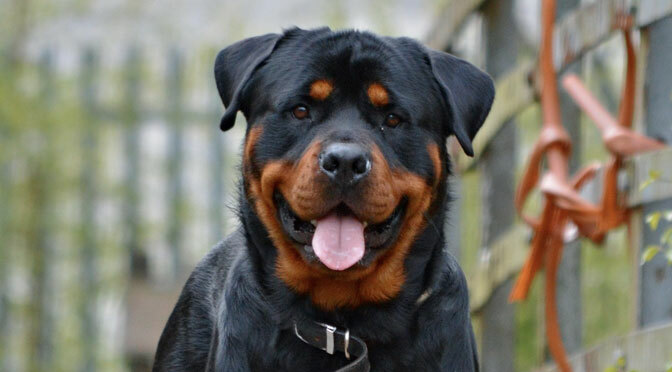 The Harrisons also kept an unaltered male Rottweiler owned by their son. On July 3, 2005, this male dog escaped from the backyard of the rental property, ran across the street, and attacked Brandon Benningfield, an eight-year-old boy standing on the sidewalk. While the Zinsmeisters knew of the dog’s presence on their rental property, there was some dispute as to whether they had revoked permission for the tenants to keep it. Benningfield, through his mother and next friend, filed suit against the Zinsmeisters and the Harrison’s son. Benningfield obtained a default judgment against Harrison. Following discovery, the trial court granted summary judgment in favor of the Zinsmeisters on the issue of whether they were liable for the attack by their tenants’ dog. The Court of Appeals affirmed, and the Supreme Court granted discretionary review. Two statutes proved critical in the Court’s analysis of Kentucky dog bite law. The liability statute at KRS 258.235(4), which imposes strict liability, provides “Any owner whose dog is found to have caused damage to a person, livestock, or other property shall be responsible for that damage.” The ownership statute at KRS 258.095(5) defines the owner of a dog for purposes of strict liability to include “every person having a right of property in the dog and every person who keeps or harbors the dog, or has it in his care, or permits it to remain on or about premises owned or occupied by him.” Both statutes are reenacted versions of older laws: KRS 258.095(5) (identical to the current owner definition statute) and KRS 258.275 (substantially similar to the present liability statute). Benningfield argued the plain language of the owner definition statute made landlords like the Zinmeisters statutory dog owners. Posing a problem for Benningfield was McDonald v. Talbot, a prior decision by Kentucky’s highest court which held landlords are not strictly liable under the dog bite liability statute. McDonald was decided under the original liability statute and did not analyze whether landlords are owners under the statutory definition of owner. The landlord must have known the animal was dangerous. This was in effect the common law “One Bite Rule.” In other words, landlords get one free bite before being held liable. The attack occurs on or about the premises. While the Benningfield Court adopted a liberal view of landlord ownership, its views on spatial boundaries were much more restrictive. The Court declined to extend liability to injuries occurring off the leased premises. Instead, the Court found that “on or about” means property “within immediate physical reach.” This may include the sidewalk adjacent to the property or space close to the curb. In applying its interpretation of the law to the facts, the Court found that even if the Zinsmeisters were statutory owners of the dog that attacked Brandon Benningfield, the attack occurred on the sidewalk across the street from the rental property. Thus, the Zinsmeisters were not liable as the attack occurred too far away from the leased property. The Court placed additional limitations on dog ownership. There must be an element of tenancy to the dog’s presence. For example, a temporary excursion onto the property of another will not give rise to legal accountability. In situations of a temporary nature, the tenancy must be related to the care or habitation of the dog to trigger liability. The example given is that a dog groomer could be an owner as the groomer’s control of the dog relates to care of the animal. In addition, the Court specifically declined to extend liability to the owners of dog parks. Justice Noble is not afraid to veer from precedent or at least put a new spin on it. Noble also wrote the opinion in Kentucky River Medical Center v. McIntosh, a case which modernized Kentucky legal standards in the area of premises liability by making it more difficult for cases to be dismissed via the open and obvious defense. In Benningfield, Noble wrote for a plurality of the Court, so in the future, some may argue that the opinion is of limited precedential value. However, the splits indicate there were members of the Court who wanted to take liability one step further. In his dissent, Venters agreed with Noble’s analysis concerning ownership but would adopt a broader view of “on or about” the leased property. Venters disagreed with the result in the case and would have remanded it back to the trial court for the jury to determine whether the attack occurred “about” the premises by applying its own common sense to the circumstances. Minton concurred with Venters but would hold in addition that a landlord can be liable to third parties injured off the leased property by a tenant’s dog under general principles of negligence. Schroder and Scott are the only true dissenters who would follow the McDonald line of cases which hold a landlord can never be considered the owner. It is important to keep in mind that Benningfield does not change common law negligence principles. Rather, in certain situations, it applies strict liability to landlords who are in the best position to control what happens concerning the presence of tenants’ dogs on the rental property. Justice Noble observed the legislative goals of the dog bite statutes are two-fold: To decrease the likelihood of dog attacks and to increase the likelihood innocent victims will be made whole. Benningfield also does not turn all dog bite cases into slam dunks. For example, to be liable the landlord must have “permitted” the dog to be on the property. If a tenant has a dog despite a “no dogs” clause in the lease, is the landlord liable? Does permission require actual permission from the landlord? Or can permission be implied if a landlord should have known but turned a blind eye to indications that dogs are on the premises? Landlords do not have to stop renting to pet owners, and they will not. Parents are held liable when their teenagers get behind the wheel and injure someone. They do not stop letting their teenagers drive. Owners of bars can be liable if they over-serve, then someone gets behind the wheel drunk and injures another person. Bars don’t stop serving alcohol. In both situations, they purchase insurance to cover damages to any innocent victim. What landlords will do now is purchase insurance to cover tenants’ dogs–in fact, most have this coverage already–or require the tenants to purchase renter’s insurance to cover their dogs and provide the landlord proof of coverage. Dog owners should do this anyway as part of responsible pet ownership. It is sound public policy to place responsibility for injuries on those best in a position to prevent the injuries from occurring in the first place. Tenants, of course. But also landlords who permit dogs on the property and benefit financially from the rent payments. I doubt Justice Noble could have said it better herself. Benningfield v. Zinsmeister subsequently overturned via amendments to KRS 258.095(5). 1. 2011-2012 APPA National Pet Owners Survey. 2. The estimated population of England and Wales is 56,075,900 per the “2011 Census – Population and Household Estimates for England and Wales, March 2011”, The Office for National Statistics, executive office of the UK Statistics Authority. 3. Sacks JJ, Kresnow M, Houston B. Dog bites: how big a problem? Injury Prev 1996;2:52-4. 4. See NMHC tabulations of 2011 Current Population Survey, Annual Social and Economic Supplement, US Census Bureau (http://www.census.gov/cps). Updated September 2011. 5. Jay Romano, Why Renters Need Insurance, N.Y. Times, October 7, 2007, http://www.nytimes.com/2007/10/07/realestate/07home.html. 6. 367 S.W.3d 561 (Ky. 2012). 7. Harrison is most likely judgment proof. 9. The newer versions became law in 2004, while McDonald was decided in 1969. 10. 447 S.W.2d 84 (Ky. 1969), decided by the Court of Appeals, Kentucky’s highest court at the time. 12. Justices Schroder and Scott called “shenanigans” on Noble’s application of the Hughes doctrine. 13. 319 S.W.3d 385 (Ky. 2010).